True Blue: Kick Off Cyber-Monday With A Free Ebook Courtesy Of Hopedale Press! Kick Off Cyber-Monday With A Free Ebook Courtesy Of Hopedale Press! So why would anyone want to celebrate it by reading tales of super/natural terror? Tradition, that's why! While most of you are no doubt familiar with the mythic figure known as St. Nicholas/ Santa Claus/Father Christmas/Papa Noel/Sinterklaas, who flies about the world to bring presents to good little girls and boys, many in the United States are unaware of the Jolly Old Elf's darker half, a demonic creature called the Krampus, who travels alongside St. Nicholas, searching for naughty children to stuff in its sack and carry away to its lair, to be fattened up and devoured for Christmas dinner. How's that for good ol' fashioned nightmare fuel, as well as a sure-fire means of making sure the kids stay in their beds while you're putting together the damned bicycle? Yep, yuletide and ghostly stories of the weird, strange and downright horrifying go together like How The Grinch Stole Christmas and A Christmas Carol. And the good people at Hopedale Press (meaning me) have decided to continue the time-honored tradition of creeping people out for the holidays by giving readers one ebook for free and discounting three others by 50%. 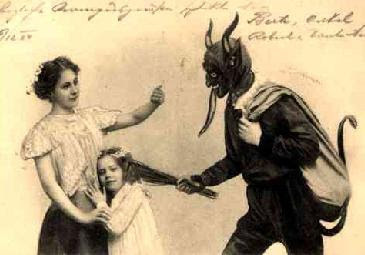 The Krampus couldn't beat that deal with a bundle of switches! Wait, Did I Hear You Type 'Free Ebook'? The Happy Holidays From Hopedale Press Special starts 3am EST on November 26th and runs to 3am EST November 29th, 2012. If you miss that freebie window, you get a second crack at it during The Hopedale Press Krampus Special, which runs from 3am December 23rd to 3am December 25th, 2012. And what, exactly, is The Ice Wedding about, you ask? Well, its a gothic fairy tale based on a real-life event. In this case, how the Empress Anna punished an unfortunate Russian nobleman, first by commanding that he become a royal jester, and then by forcing him to marry her chambermaid. 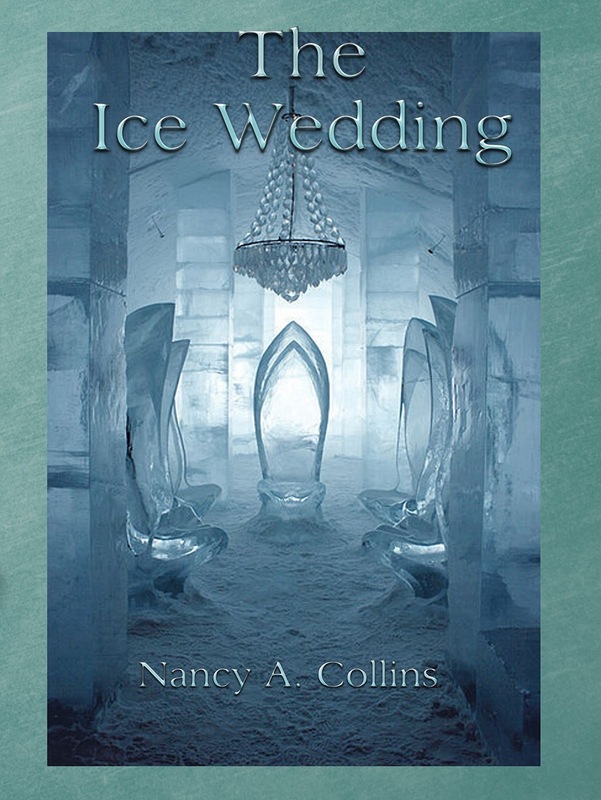 The newlyweds were then told they could earn their freedom by spending their wedding night in a cottage made entirely out of ice, during the coldest winter Moscow had ever seen. Chilling, isn't it? You Also Said Something About 50% Off Ebooks, Didn't You? To celebrate the Season of Giving, I have decided to slash prices on three of my $4.99 ebooks by 50%: Hell Come Sundown, Lynch: A Gothik Western, and Walking Wolf. The sale will run from November 26th until December 31st, 2012 and will be available via Kindle, iTunes, Kobo, Nook, Sony and Smashwords. Hell Come Sundown: Sam Hell, a former Texas Ranger turned ghostbreaker, and his traveling companion, the Comanche shamaness Pretty Woman, search the Mexican border for Sangre, the vampire conquistador who turned him into one of the undead. Was $4.99--now $2.99 until Dec. 31st. 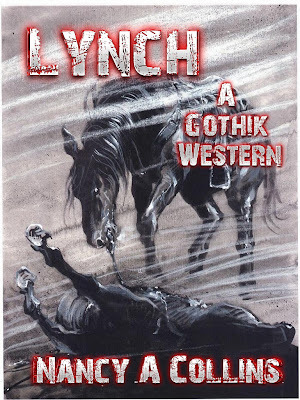 Lynch: A Gothik Western: A Frankenstein gunslinger and his flesh-eating zombie horse ride out in search of the rogue cavalry officer responsible for lynching him and murdering his pregnant wife. Cover by Stephen R. Bissette. Was $4.99--now $2.99 until Dec. 31st. Walking Wolf: An infant werewolf is found by a Comanche warrior at the site of a massacre and raises him as his own. 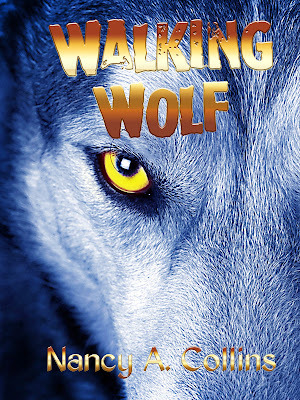 When Walking Wolf's darker nature leads him to kill the woman he loves and his best friend, he decides to venture into the White Man's world in hopes of better understanding who, and what, he truly is. Was $4.99--now $2.99 until Dec. 31st. A Merry Christmas/Happy Hanukkah/Happy Yule/Jumpin' Junkanoo/Happy Kwanzaa/Swinging Saturnalia/ Festive Festivus To All, And To All A Good Night! 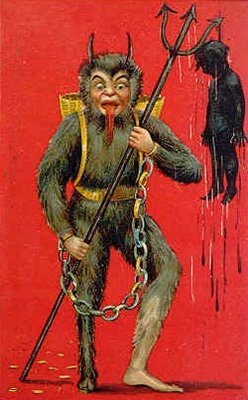 And Watch Out For The Krampus! I am a professional author who has spent the last 20 years writing novels, short stories, comic books and what-have-you for fans of the supernatural, paranormal, and fantastical. 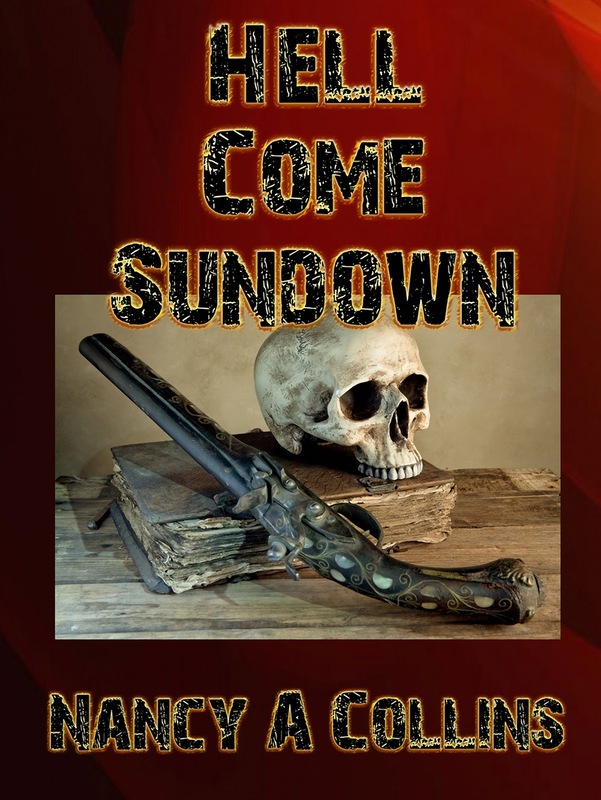 My books include SUNGLASSES AFTER DARK, featuring punk vampire slayer Sonja Blue, the YA series VAMPS starring Cally Monture, Lilith Todd, Exo & others, a collection of Weird Western called DEAD MAN'S HAND and Southern Gothic stories entitled KNUCKLES & TALES. I was born and raised in rural Arkansylvania but have lived in such places as Memphis, New Orleans, New York, Denver, Atlanta, and Cape Fear.